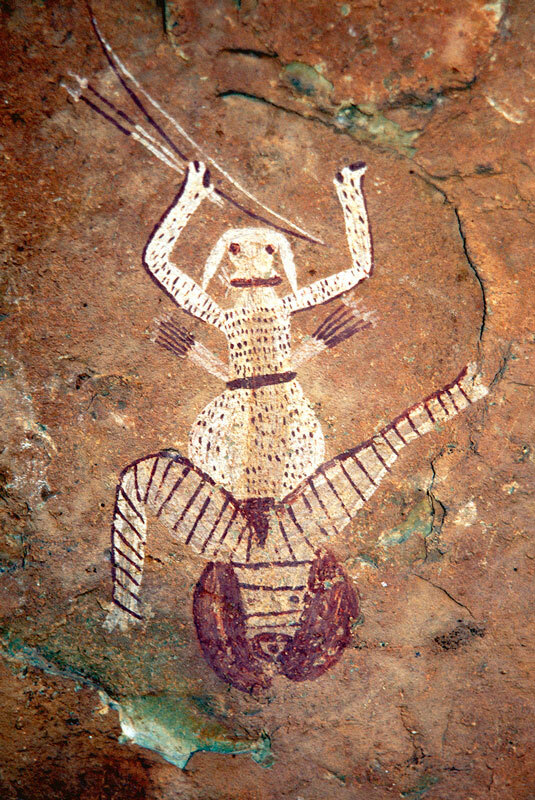 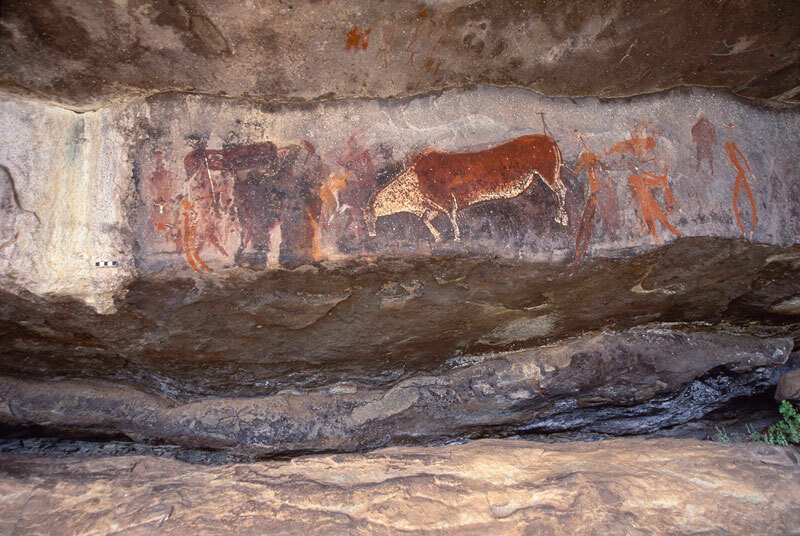 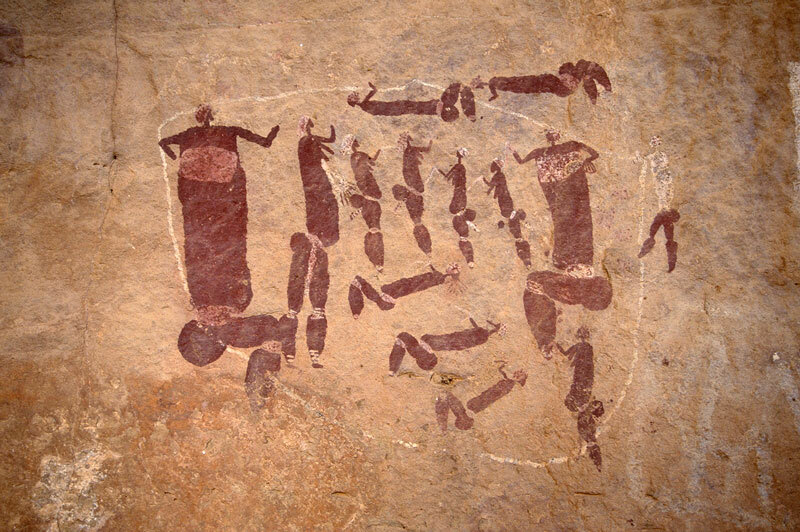 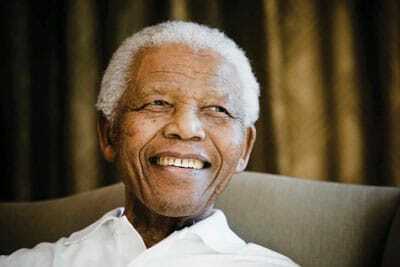 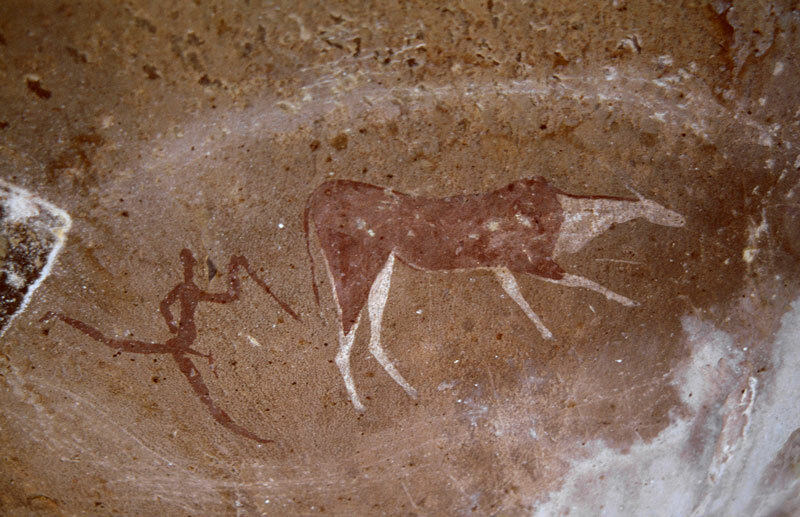 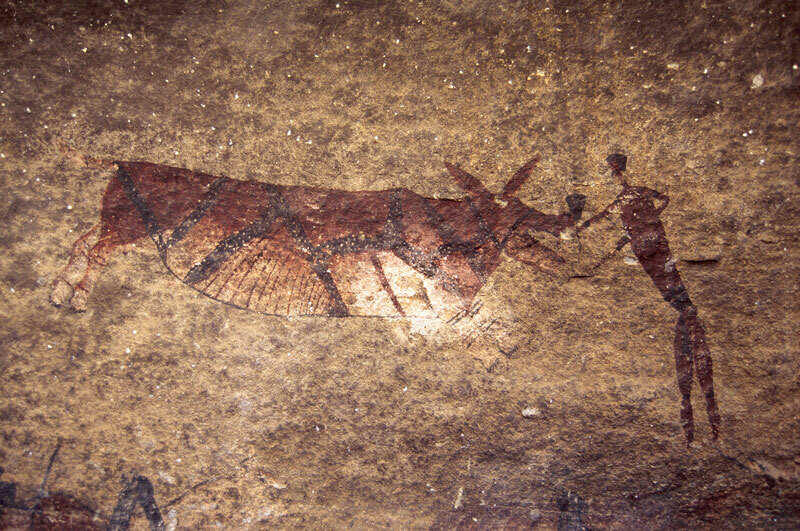 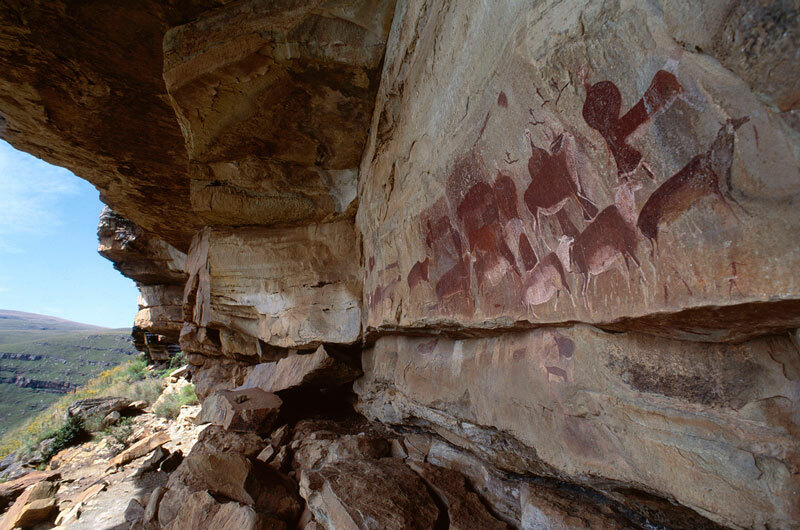 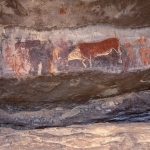 South Africa has a large amount of rock art, both paintings and engravings which are scattered over a vast area. 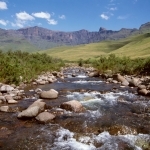 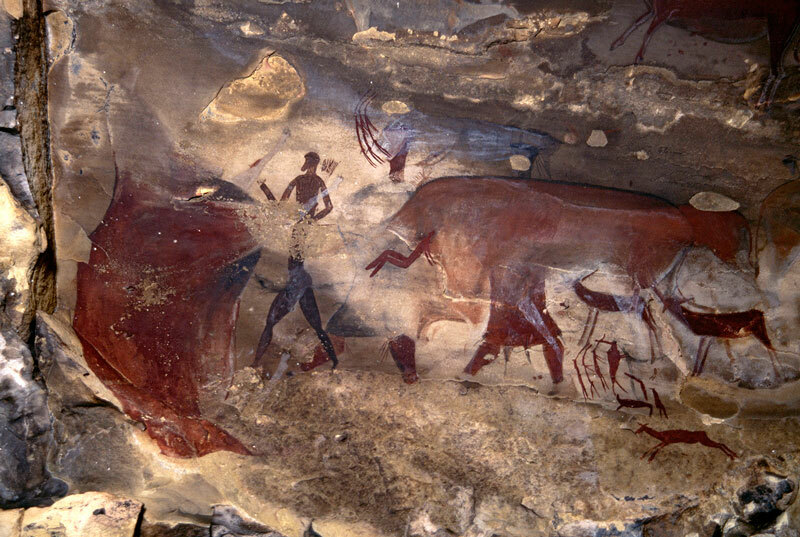 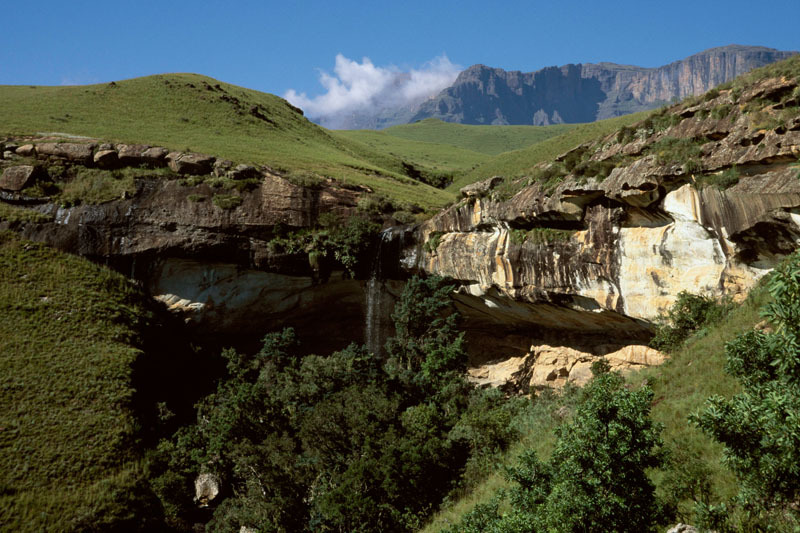 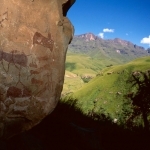 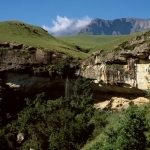 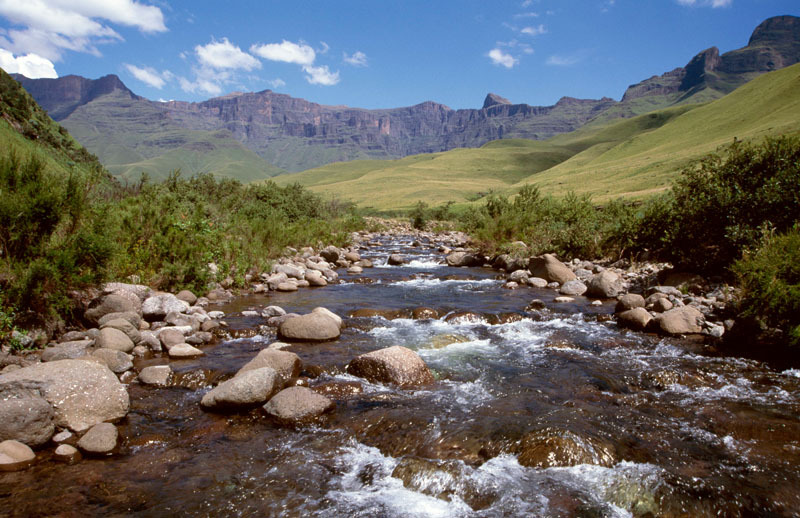 The area most famous for its art (San paintings) is the Ukhahlamba-Drakensberg National Park and World Heritage Site in KwaZulu Natal around the border with Lesotho. 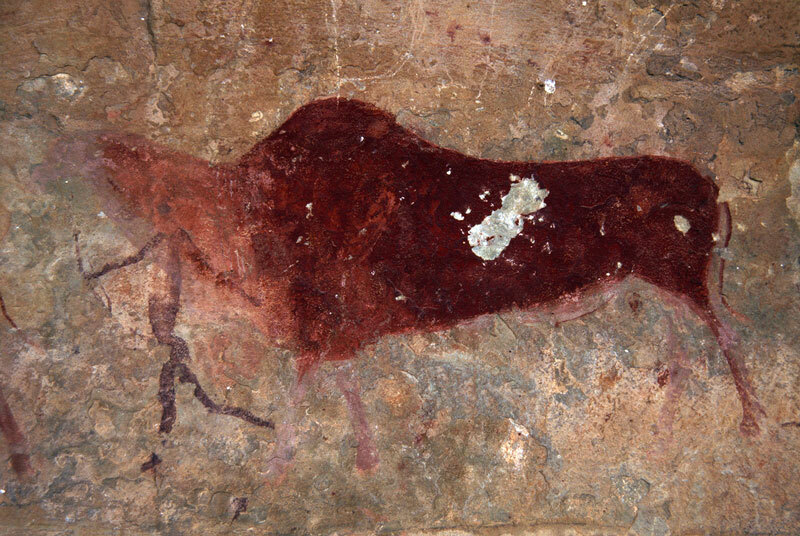 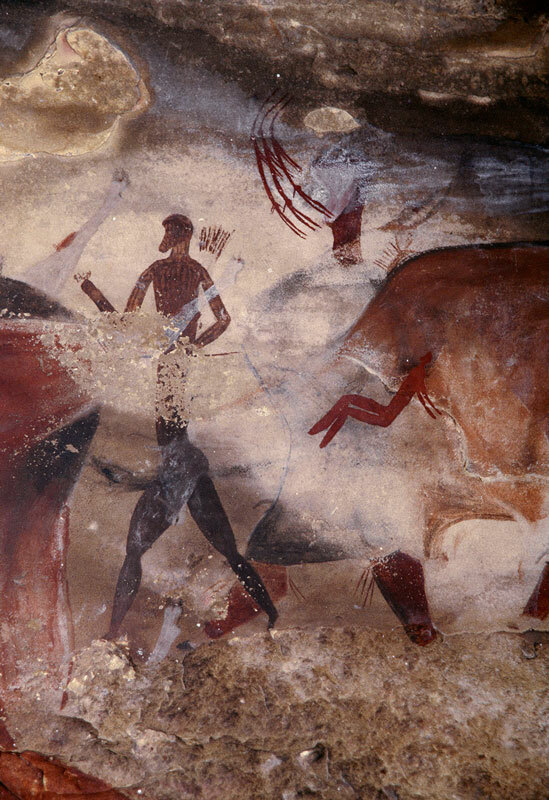 The mountains here are full of documented sites and some of the paintings are more than 3,000 years old. 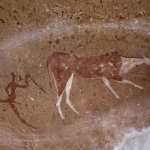 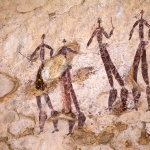 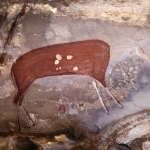 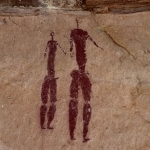 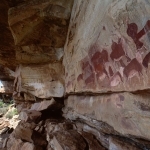 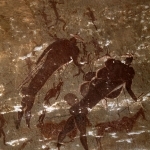 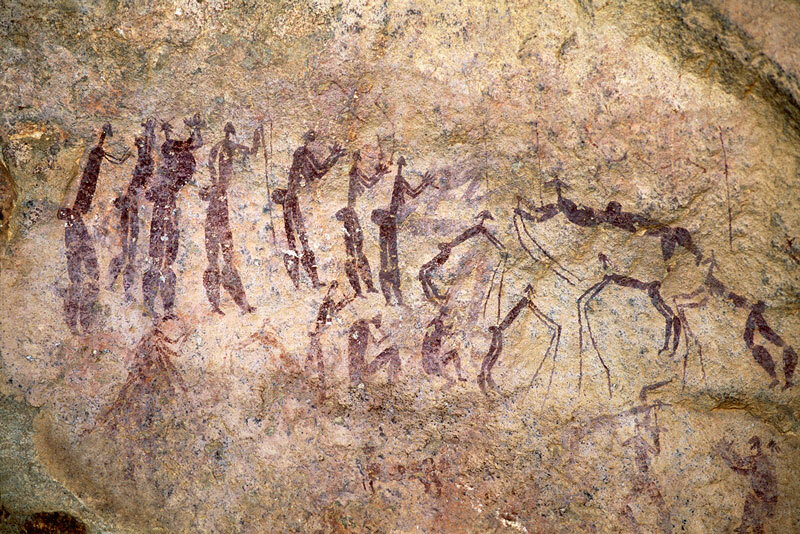 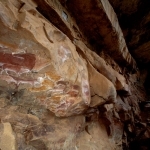 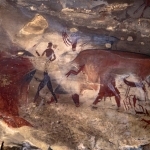 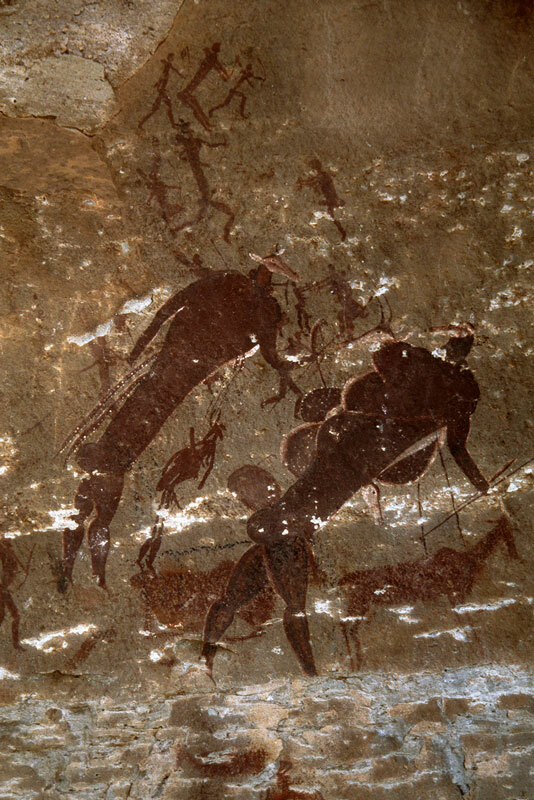 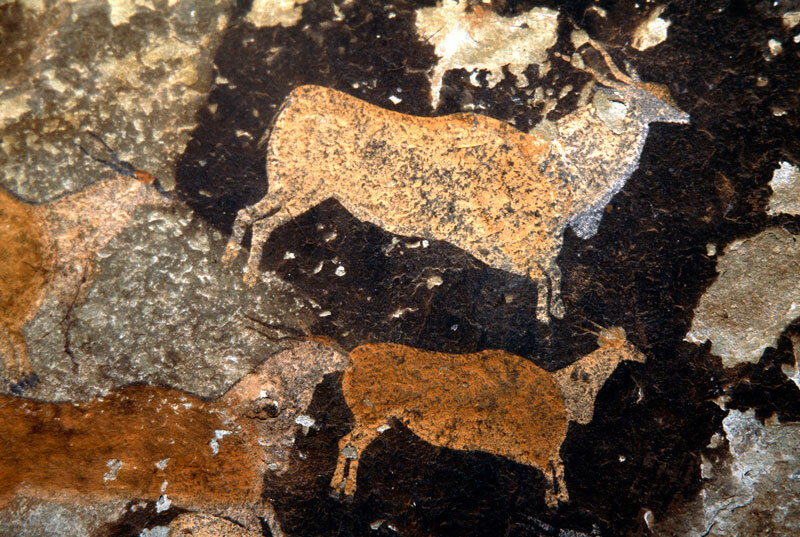 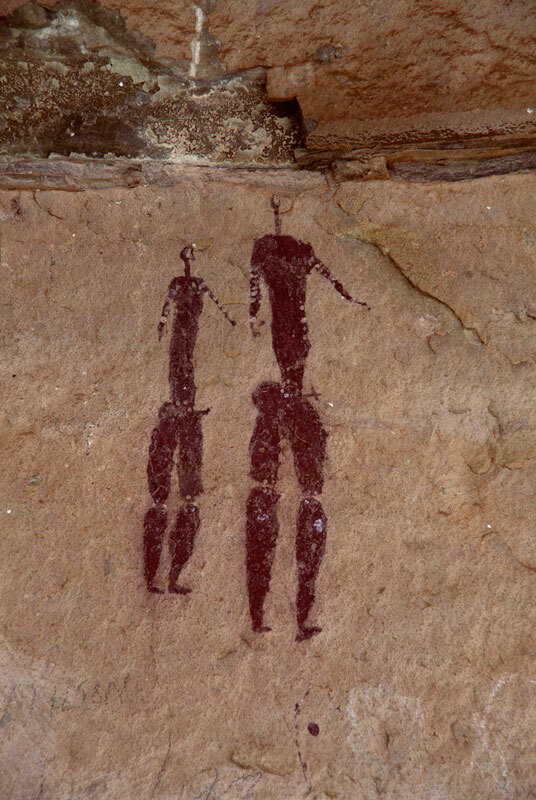 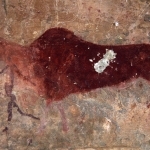 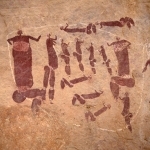 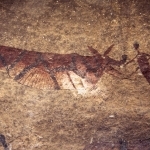 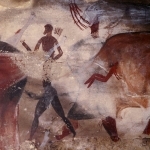 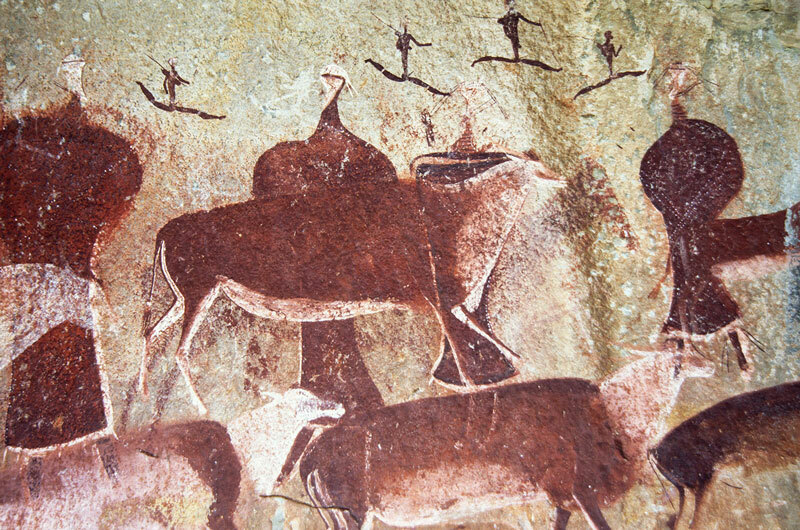 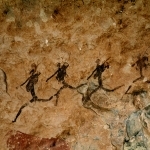 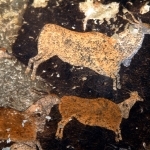 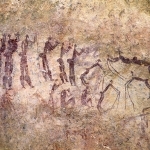 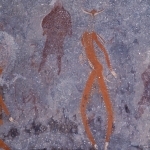 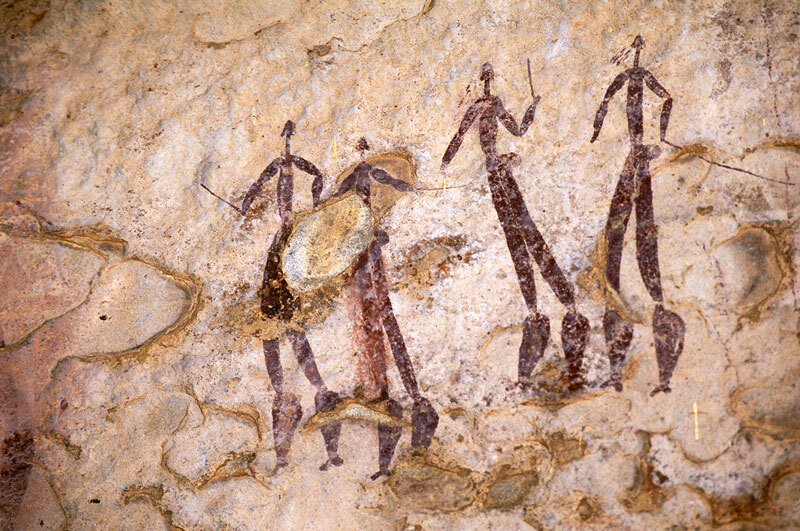 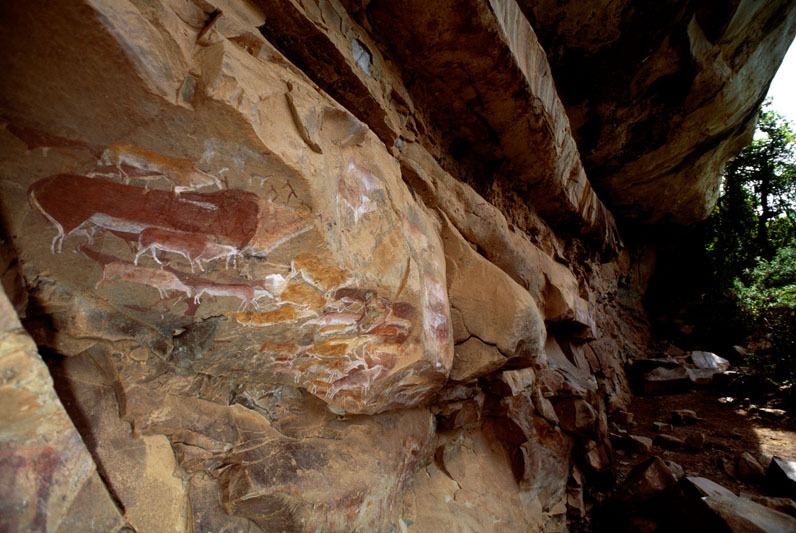 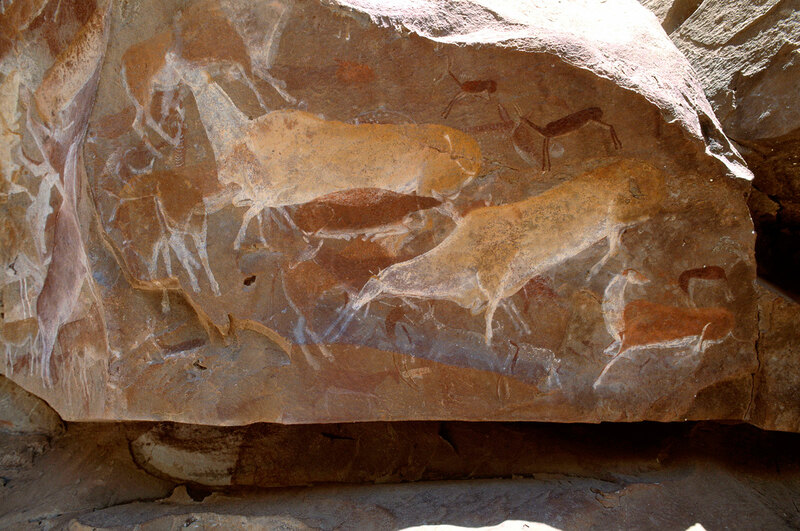 Other rich rock art areas include the South Western Cape where the Cedarberg Mountains are particularly rich in San paintings. 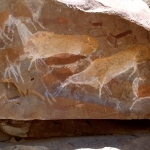 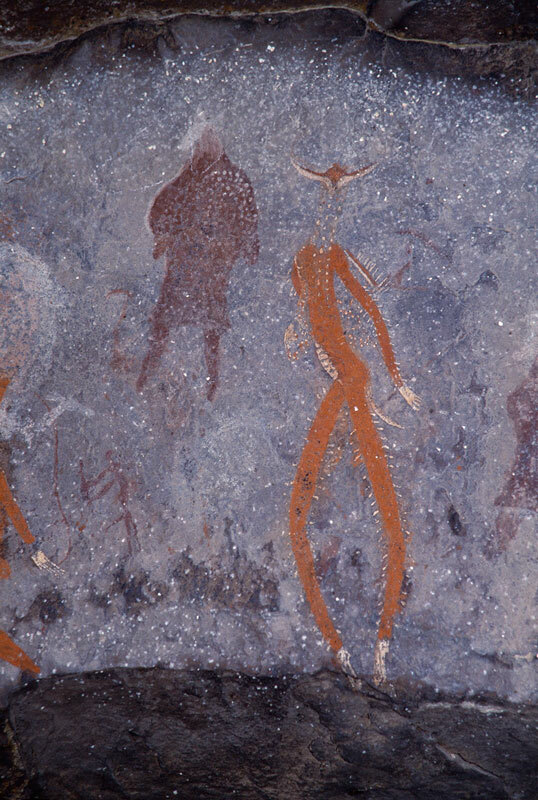 In addition, the Karoo in the central and northern Cape where the art consists mainly of San rock engravings and some Khoekhoen or Herder art, as well as, the eastern Free State (San paintings) and the northern part of South Africa’s north east province south of the Limpopo River (paintings). 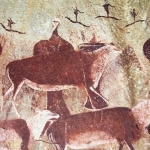 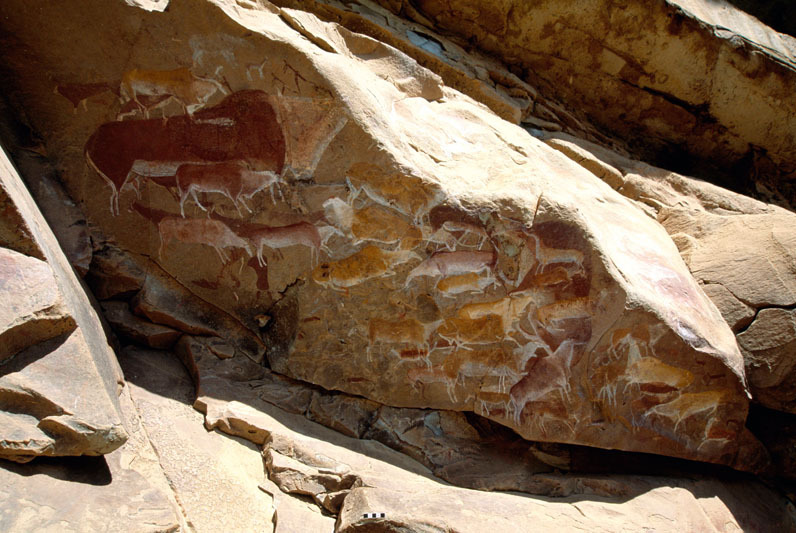 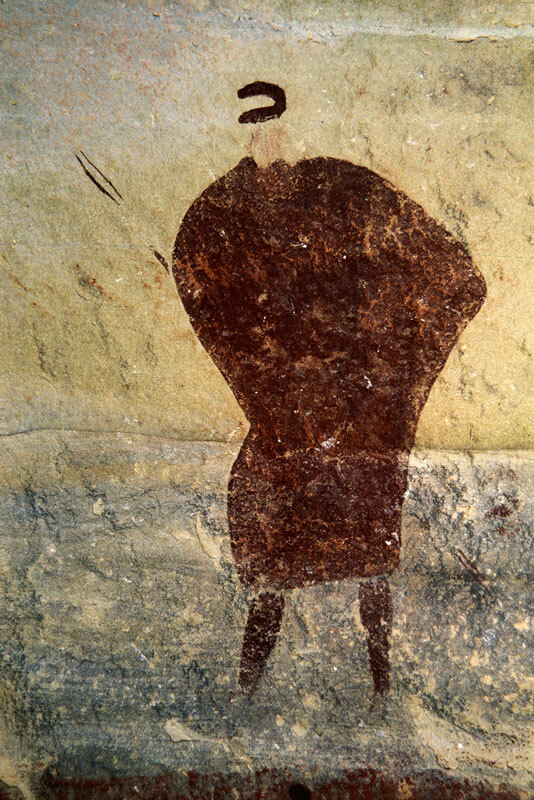 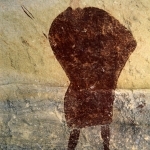 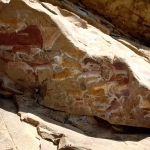 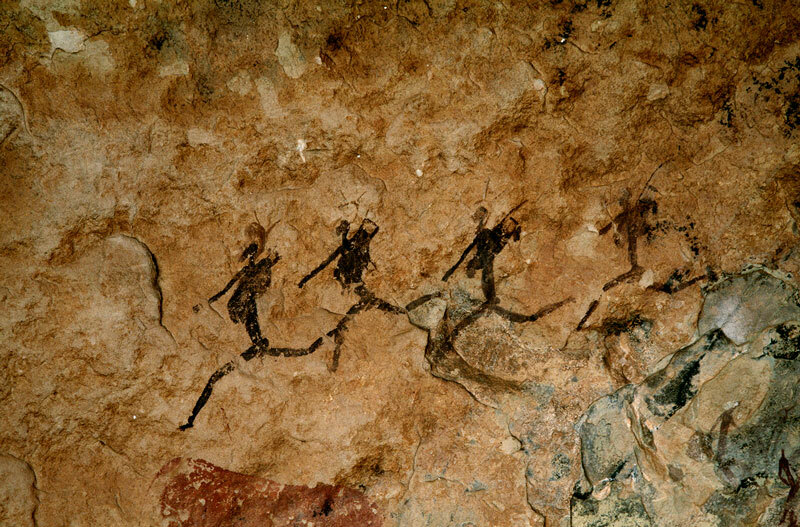 Most of the rock art in South Africa was created by ancestral San/Bushmen. 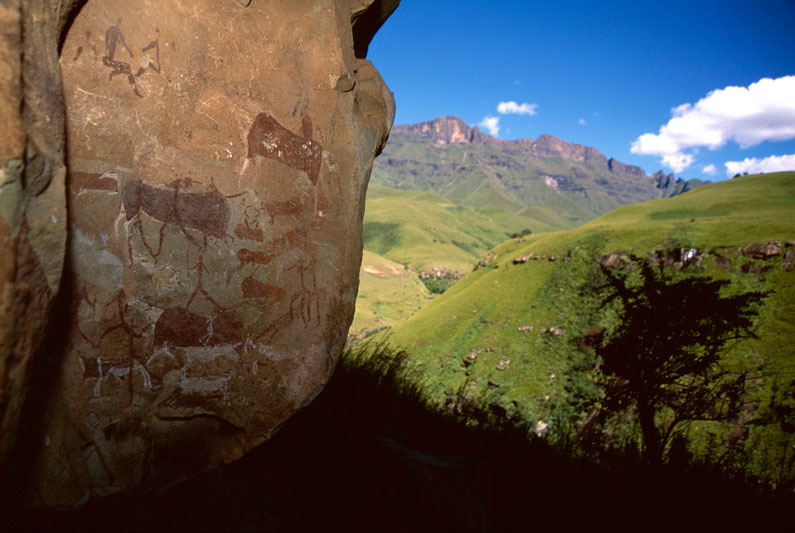 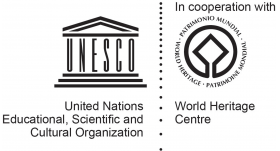 The oldest rock engravings in the world are some abstract engravings on a piece of loose ochre that were found in Blombos Cave in the southern Cape and dated to 77,000 years of age. 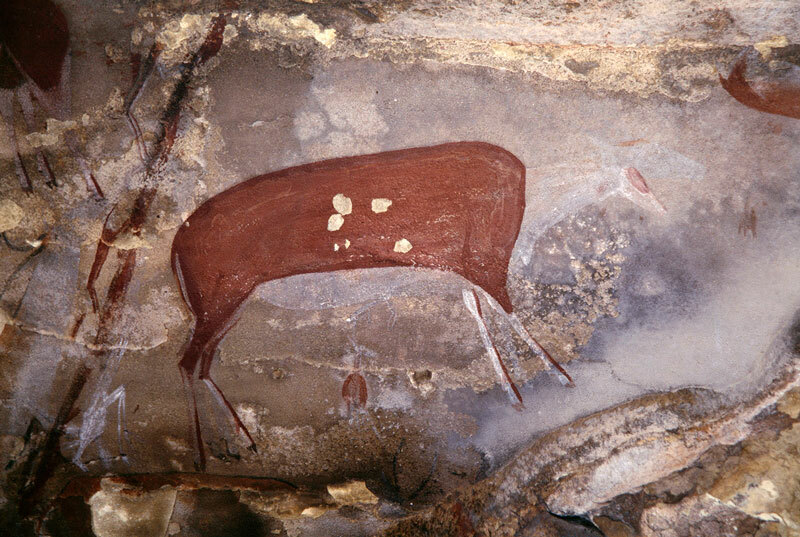 The oldest rock painting is an ochre drawing discovered in 2018 on a piece of rock in Blombos Cave and dated to 73,000 years old.